It was a little bit windier than usual so the caring trombone section bought their leader a wind shield to protect Si Cowen’s cigarette lighter. Those boys think of everything! 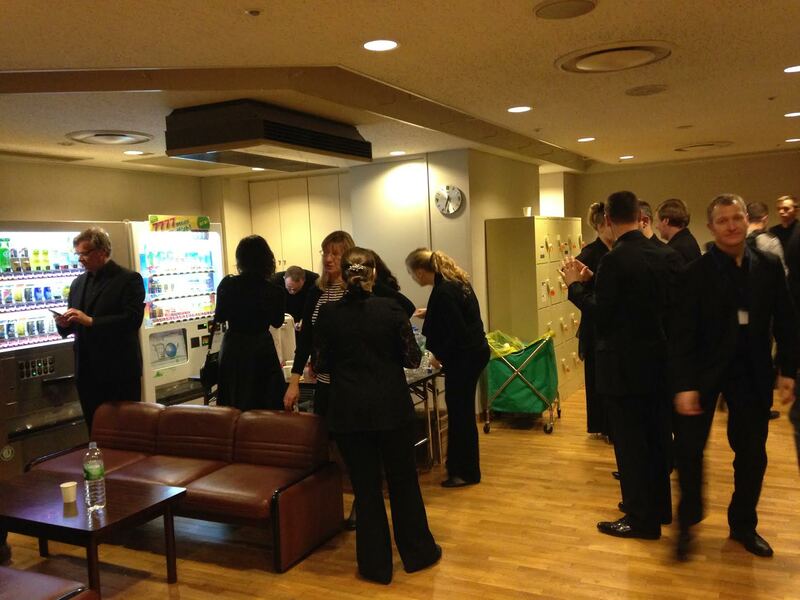 The Royal Liverpool Philharmonic Orchestra assembled around 9.00am outside the ANA Intercontinental in Tokyo to catch the coaches to the train station. 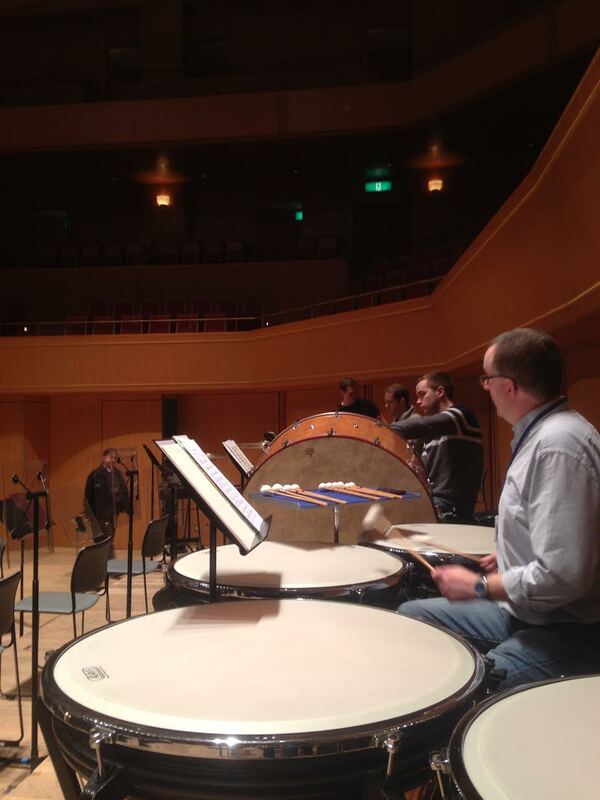 The RLPO would be travelling to our next destination and our penultimate concert, the seventh of eight, in Nagoya, at the Aichi Prefectural Arts Theatre Concert Hall. 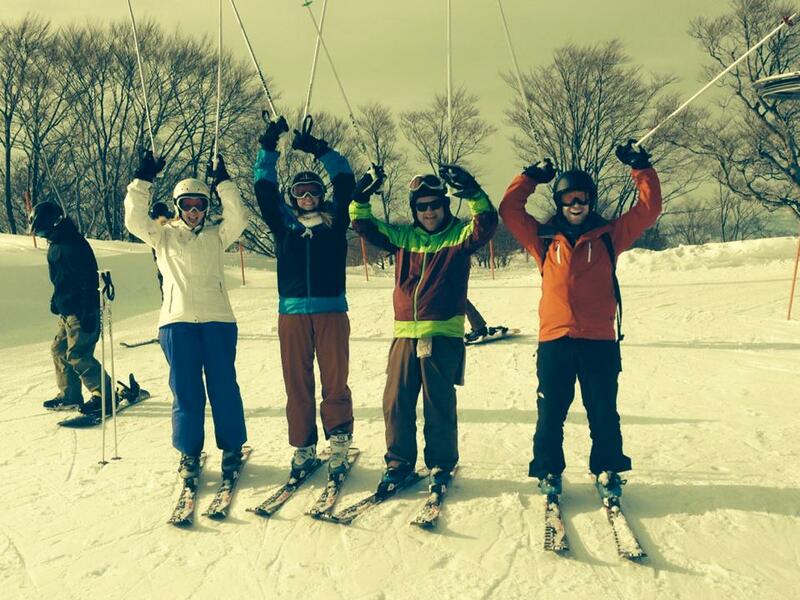 Last Monday, a few days ago now, was a day off in Tokyo for the orchestra so some members booked in for a good day out skiing further to the north of the country. 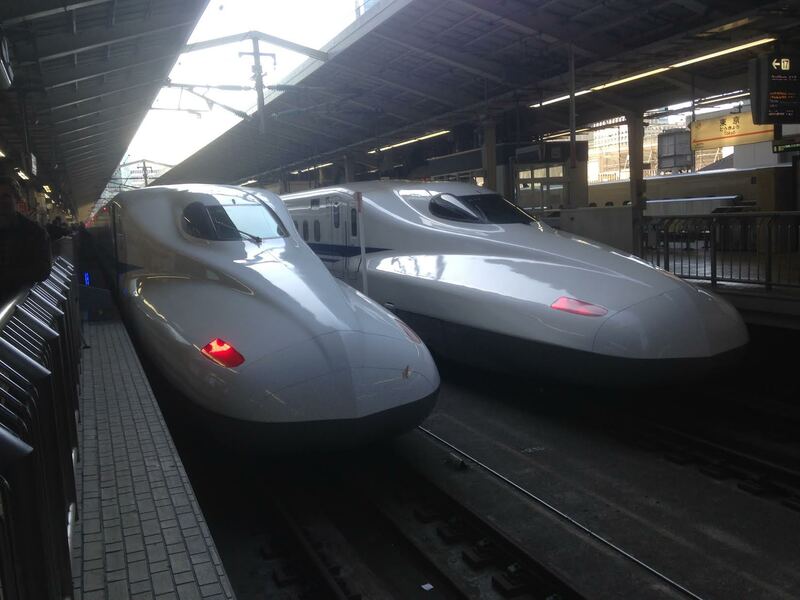 The Bullet train makes just about anywhere in Japan and back accessible in a day. 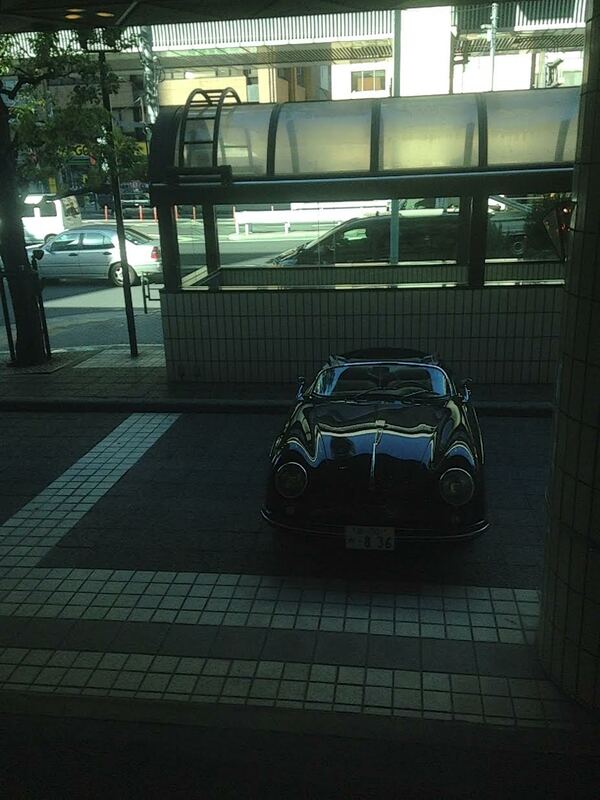 A lovely old Porsche was parked in the ANS Intercontinental car park as we awaited the buses leaving for Nagoya. 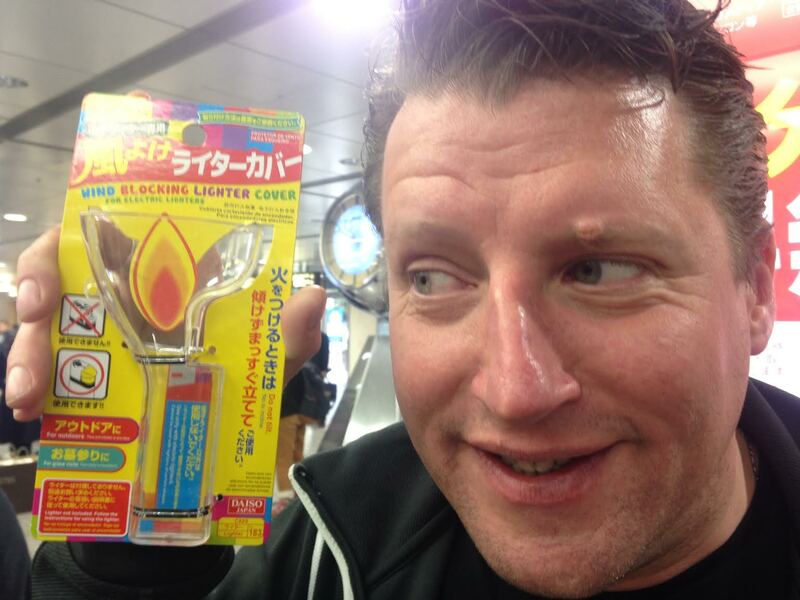 The Japanese Shikansen, or bullet trains, really are as impressive as they say. Wonderful, sleek looking design too. 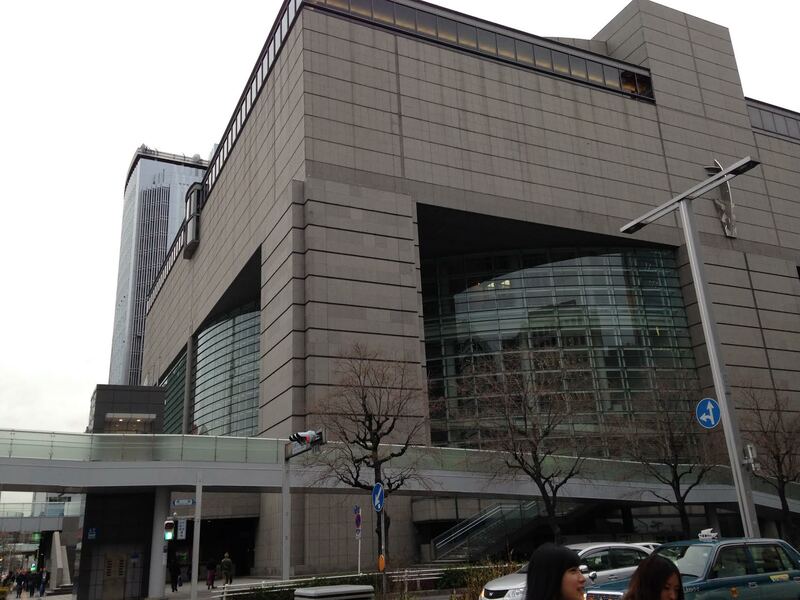 We caught the bullet train at 11.30am and arrived at the Nagoya Tokyu Hotel at 1.30pm. 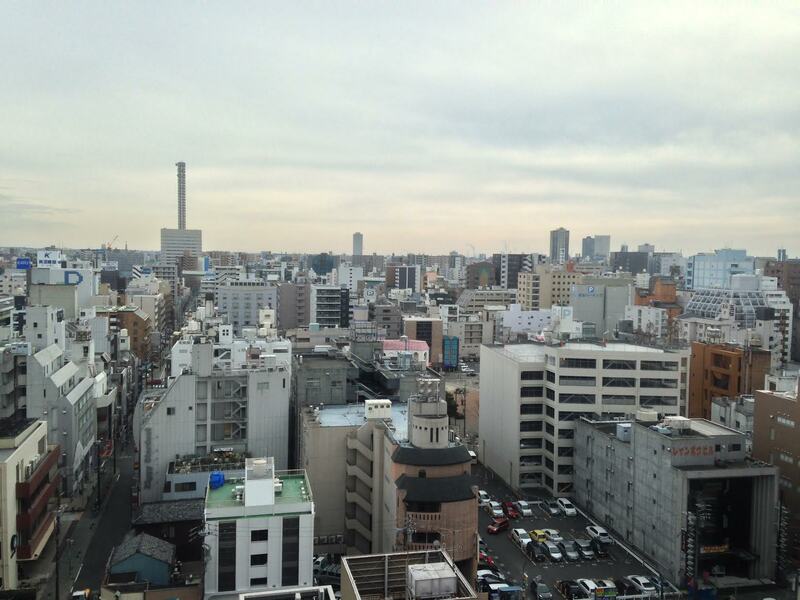 I checked into my room and noticed an impressive, although not picturesque, view of the city from my window. 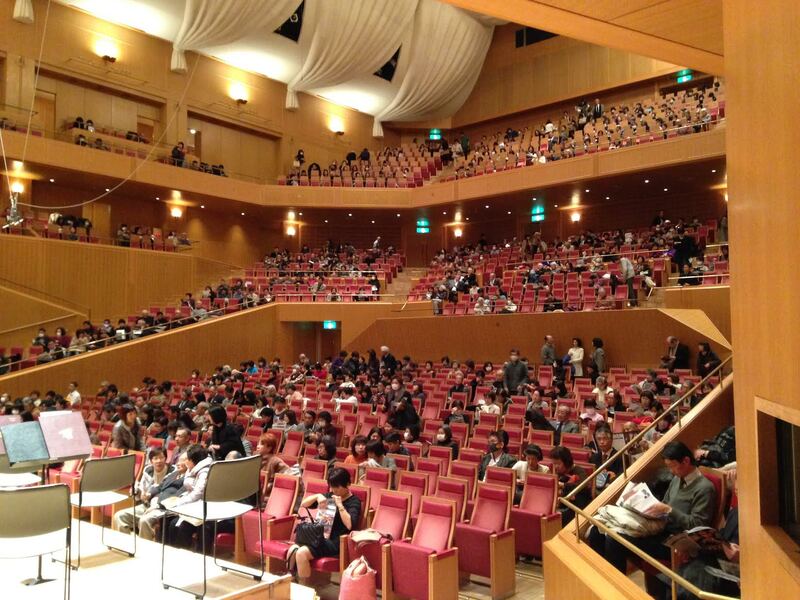 The concert venue was less than a ten minute walk from the hotel. I walked over there with one of the agents working for the promoters of the tour. 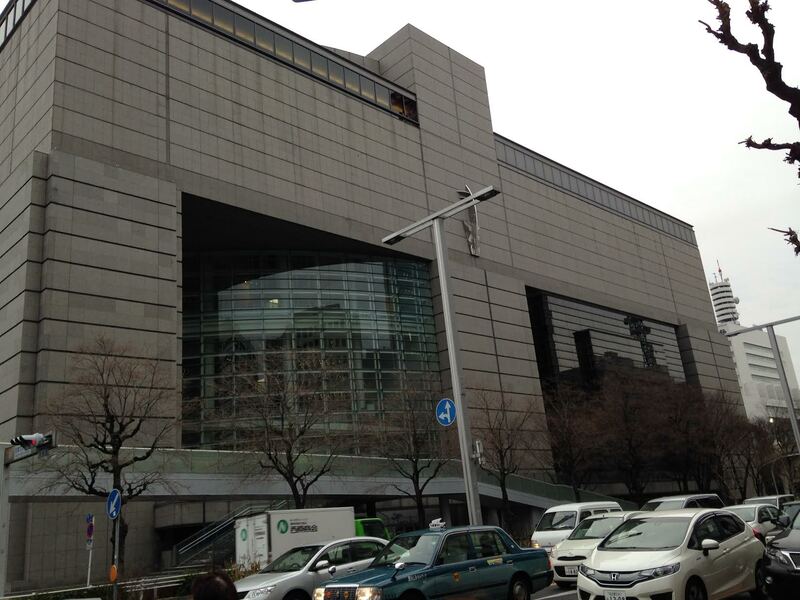 I rounded the corner to the venue. 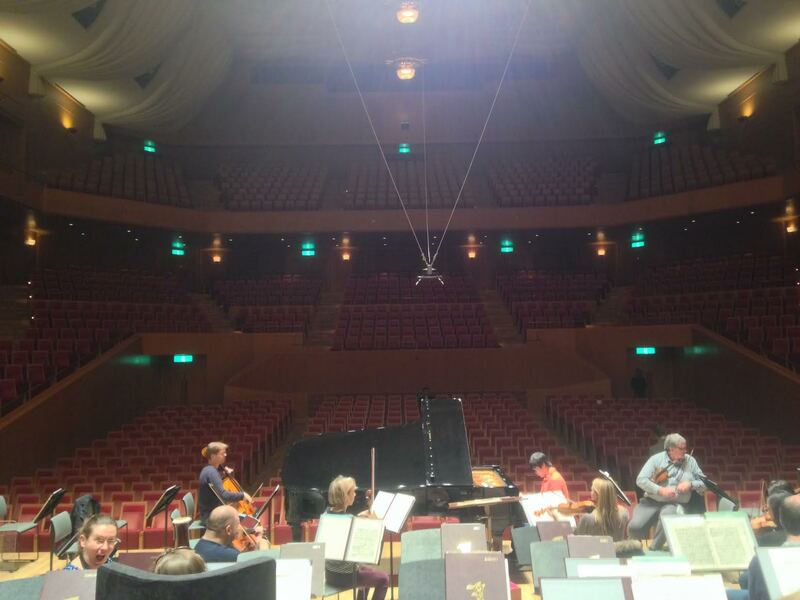 The Aichi Prefectural Art Theater Concert Hall was a very imposing sight. Both inside and out. Another huge venue with no expense spared on this lavish project. 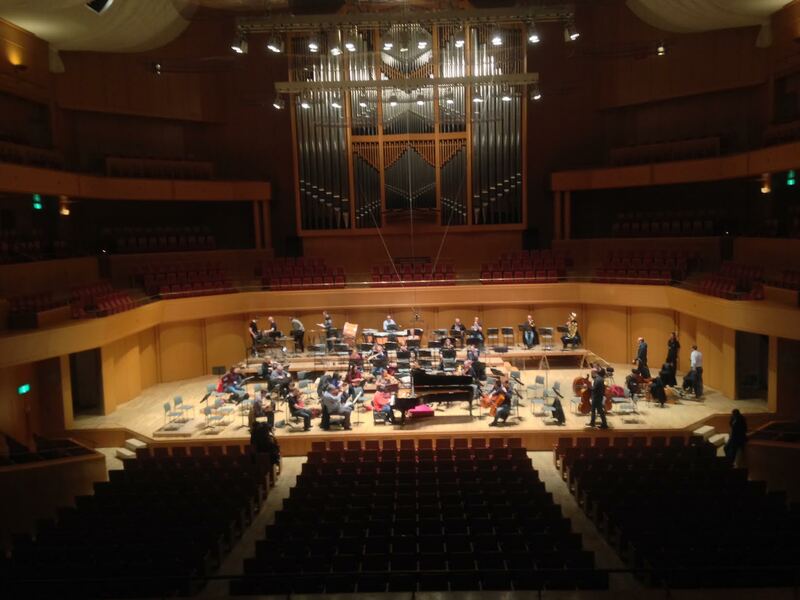 Nobuyuki Tsujii was already on stage practicing Rachmaninov’s third piano concerto and players were beginning to arrive and get warmed up for the rehearsal. 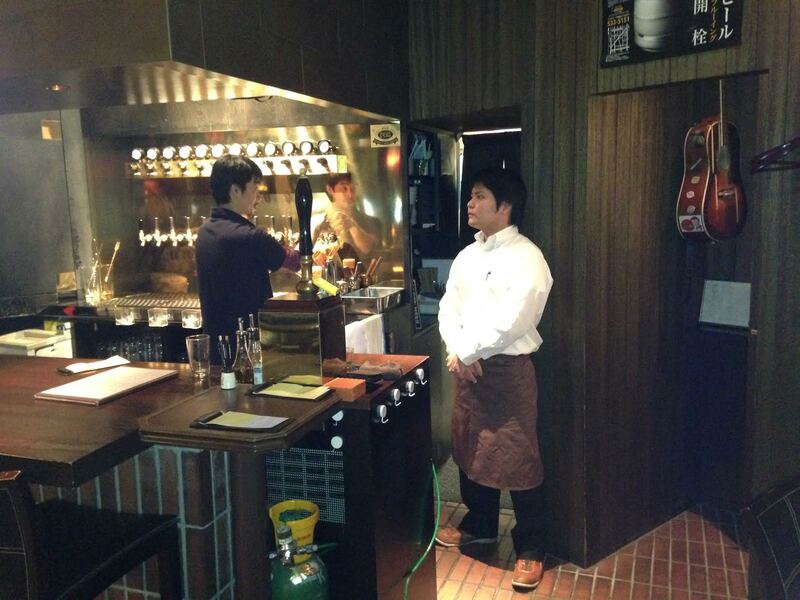 I have been informed via social media from his fans, that Nobu likes a good party and a few beers. Well, good for him! 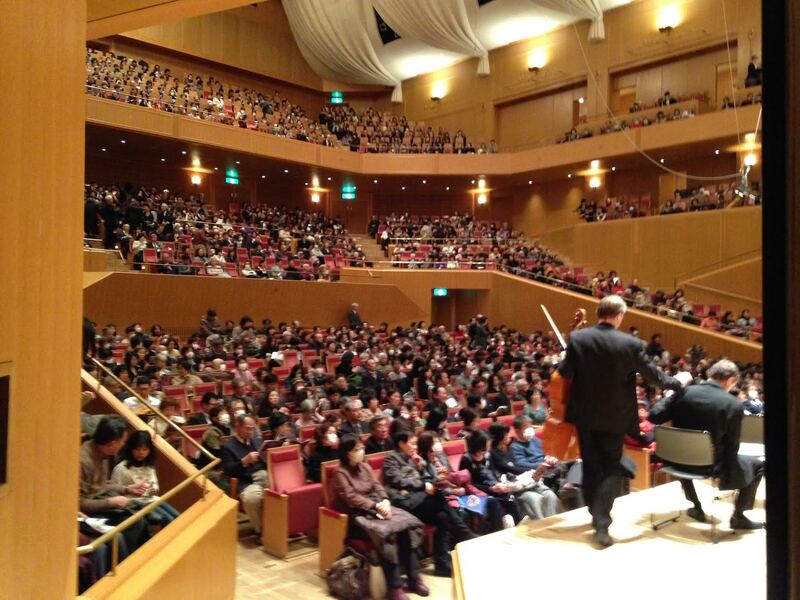 When you deliver concertos like he does, I reckon he is entitled to let his hair down afterwards… One impressive trait with all the stages we have performed on in Japan have been the impressive size of the performance areas. 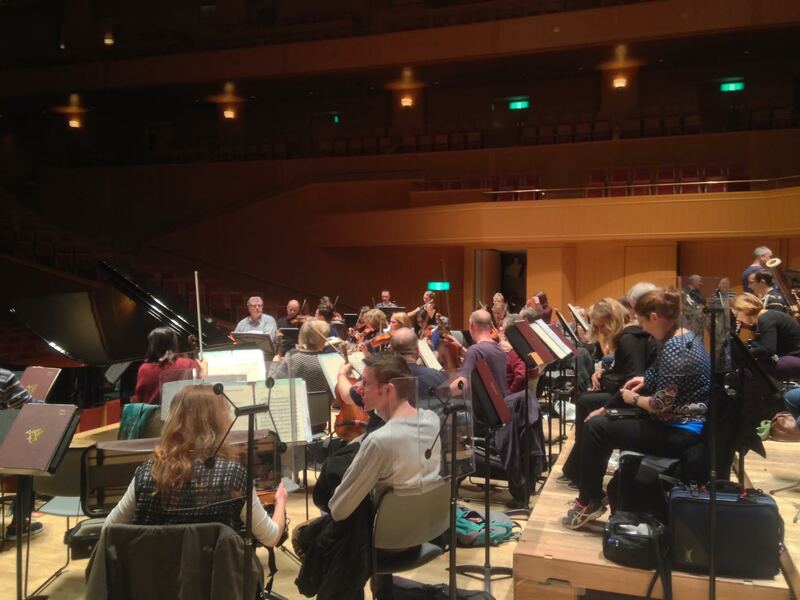 There has been no issue of space for the musicians. 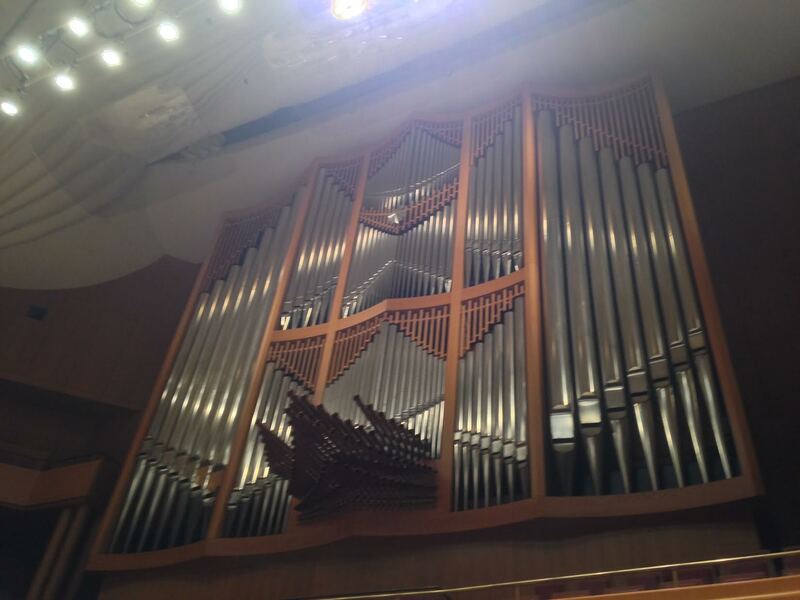 No section compressed against another… The halls also look great, as well as functioning well. All adding to the experience for both performers and audience alike. Above, John Davy, one of our heavyweight extra players. 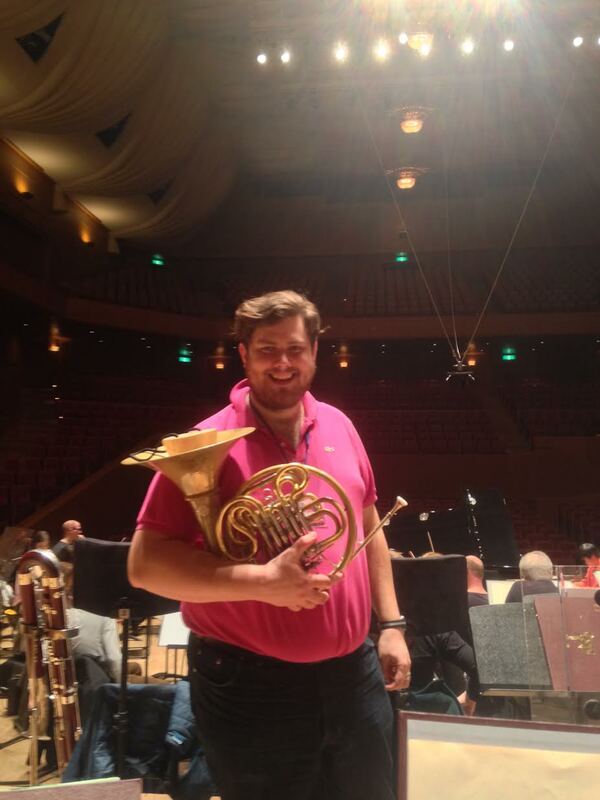 John is a big lad and normally can be found playing French Horn in Miss Saigon in London’s West End. 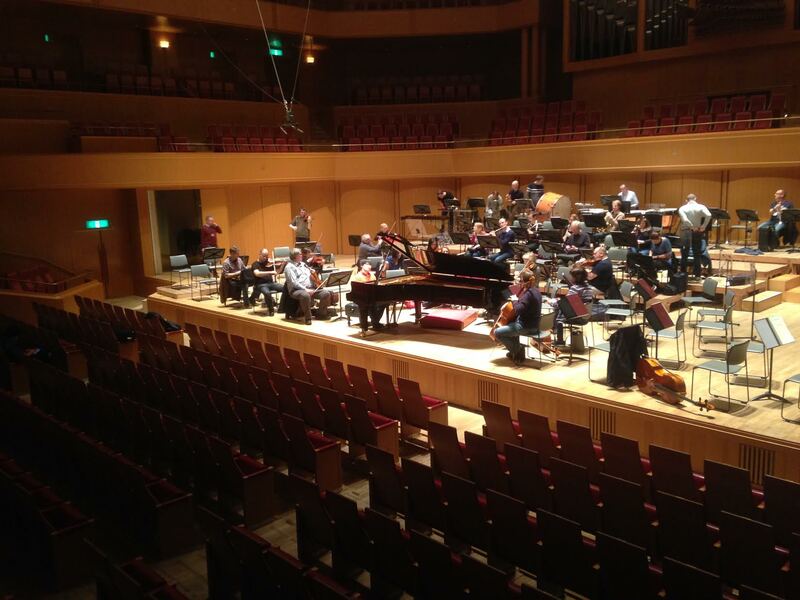 Vasily Petrenko gave the first portion of the rehearsal over to Nobu to play through the piano concerto before balancing up the symphony in this new venue. That done, he decided that Shostakovich’s Festive Overture needed no further rehearsal and trusted us to simply play that in the concert. 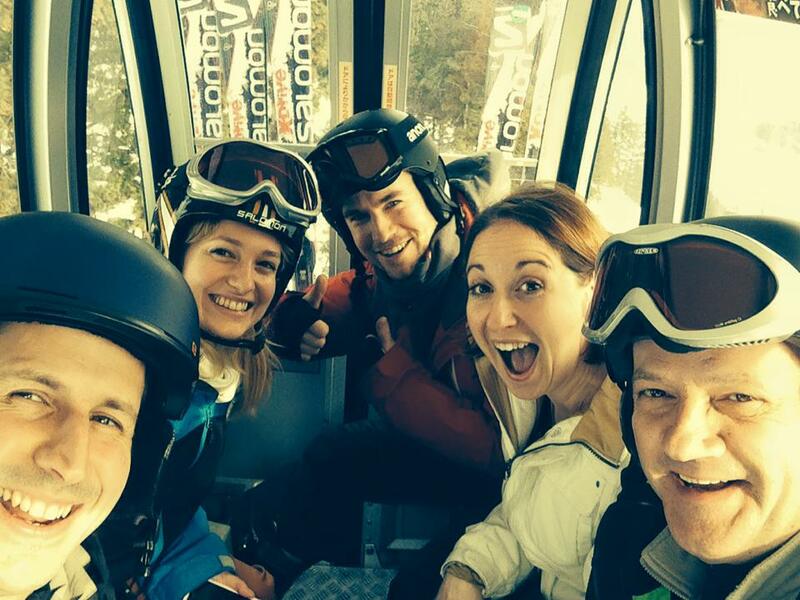 As well as musicians and admin people the RLPO take platform managers on tour too. 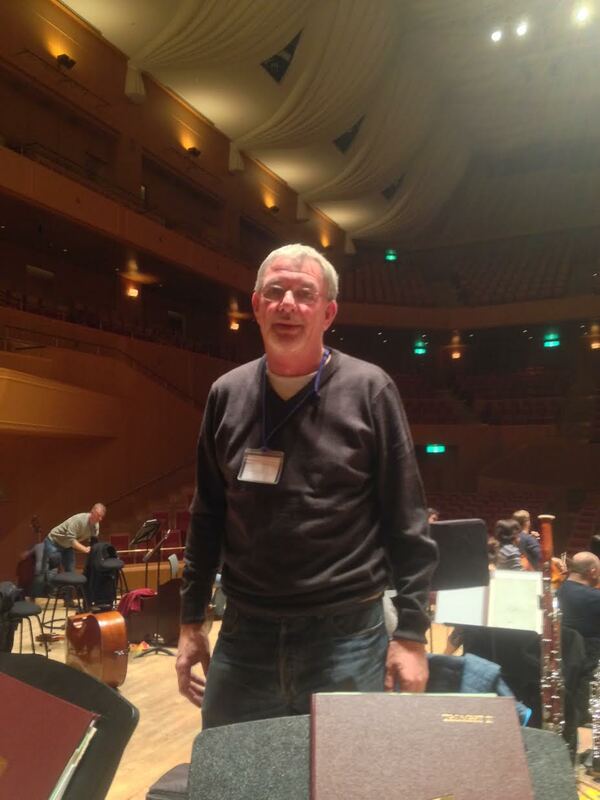 Alan Scollins (pictured above) and his manager Ian Doran make sure all the stands, cases, wardrobes, music, large instruments etc are all set up before the orchestra get to each venue and put away ready for transit at the end. 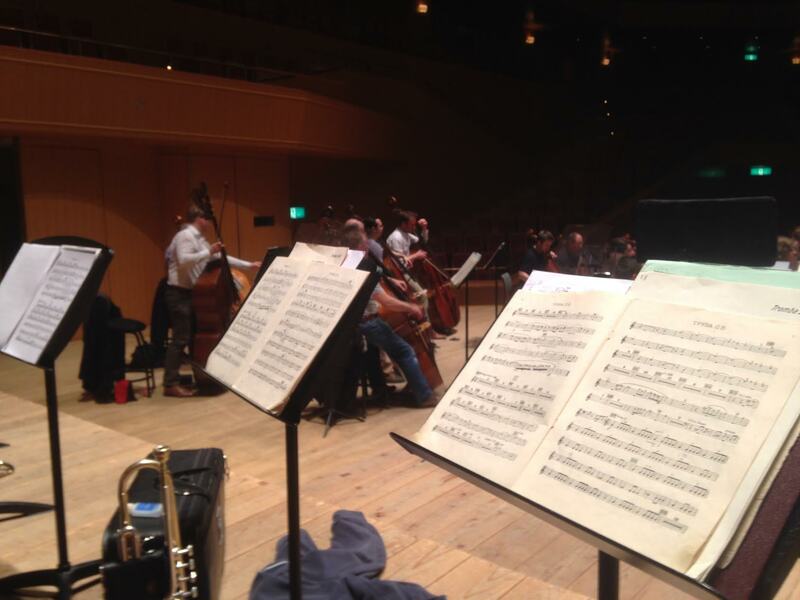 RLPO double bass player Danny Hammerton had a problem with a worn tuning peg cog during the rehearsal. The cog kept slipping and losing the tension in the string. 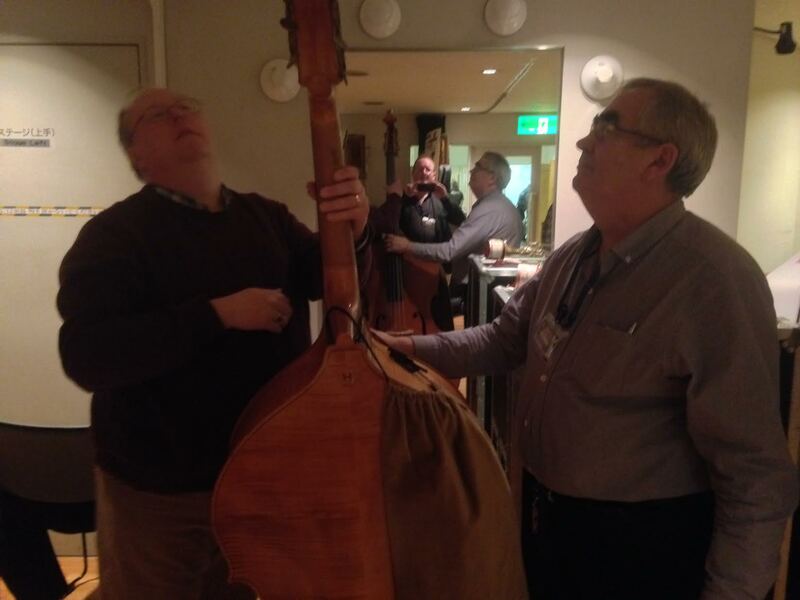 He and his fellow bass player Ashley Frampton are doing their best to sort the problem ready for the upcoming performance. 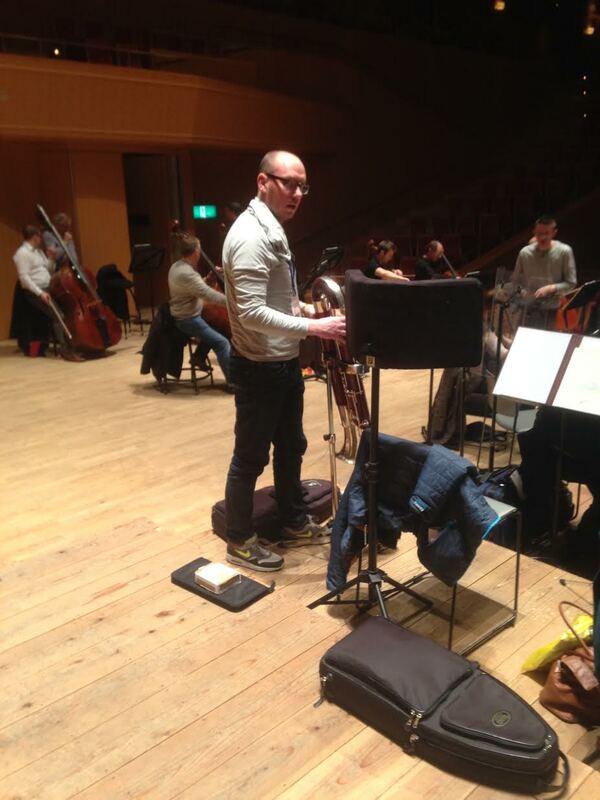 RLPO Principal Contra Bassoon Gareth Twigg is busy setting his gear ready for the rehearsal and concert ahead. 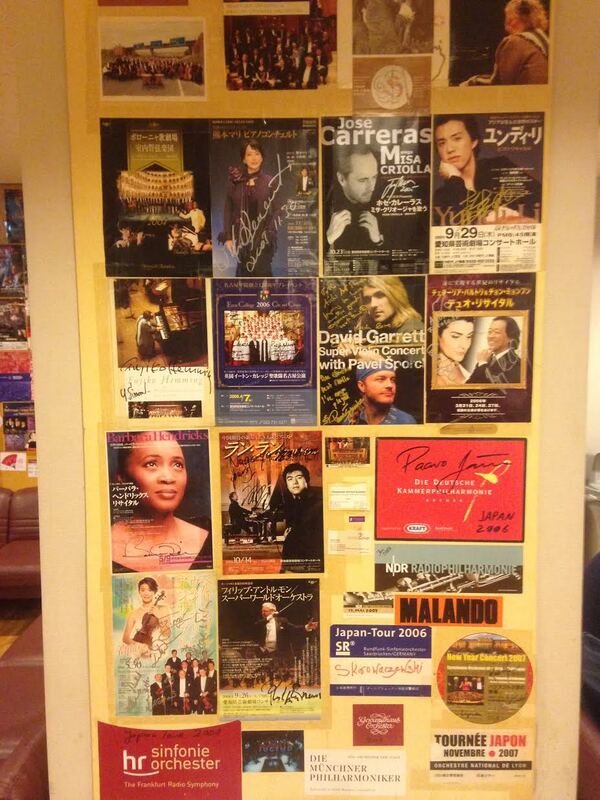 Many concert halls have a wall or board where visiting artists place evidence of their visit. 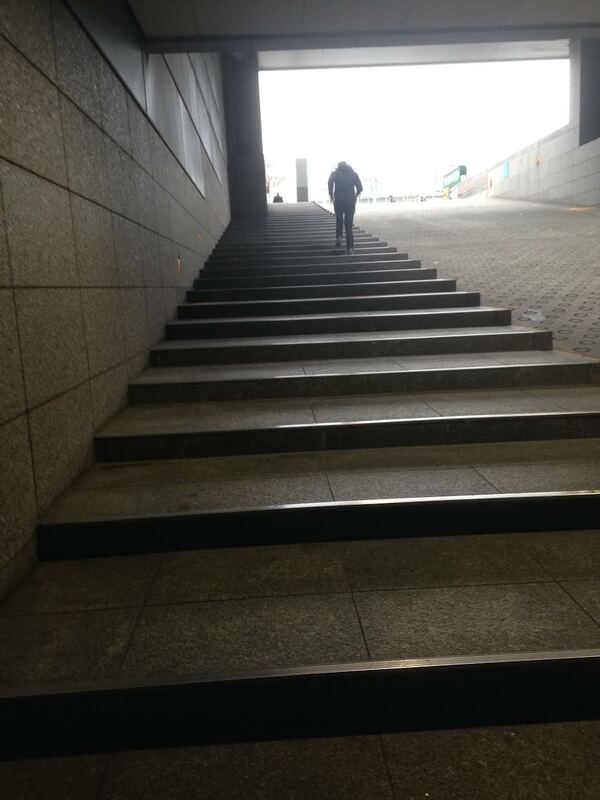 I’ve noticed that this is very popular in Japan. 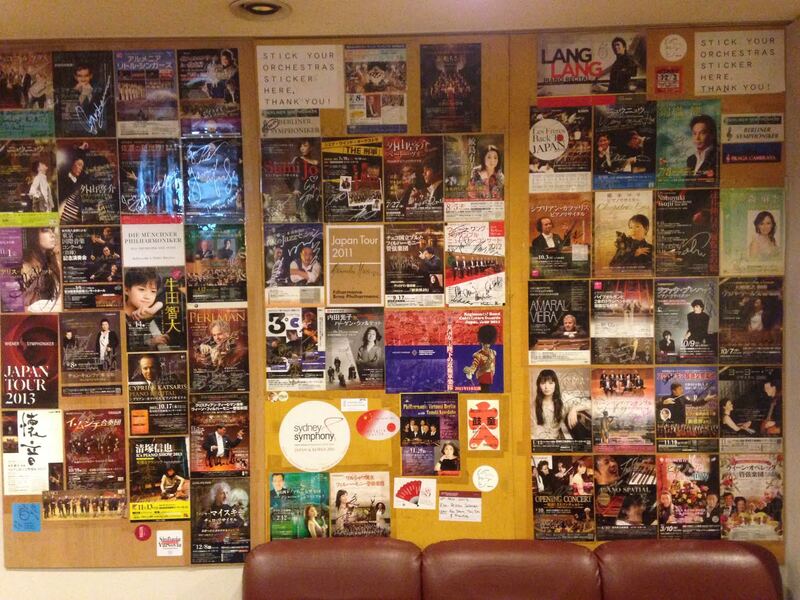 We have no such tradition at Liverpool Philharmonic Hall. I wonder what the RLPO will leave? 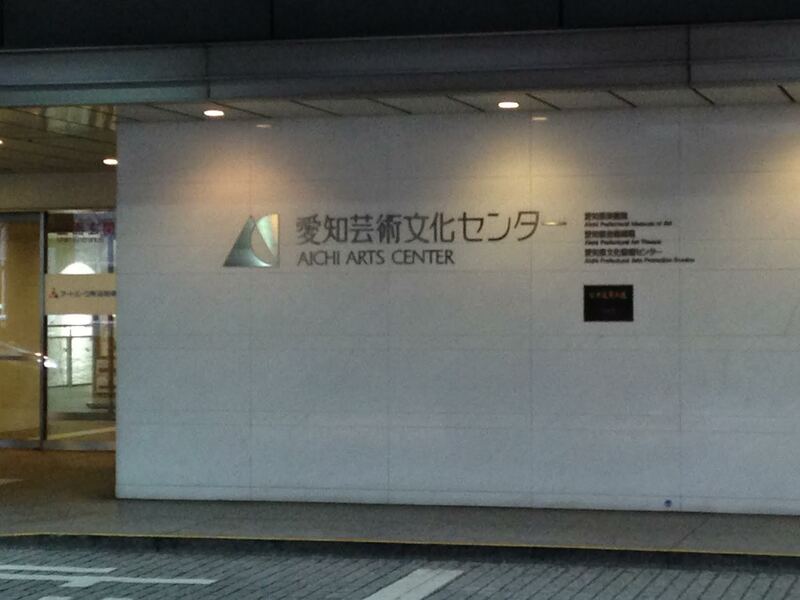 The architecture in Japan is very impressive for their arts complexes… The Aichi Prefectural Art Theater Concert Hall, Nagoya The short walk to the venue from the hotel at night time. 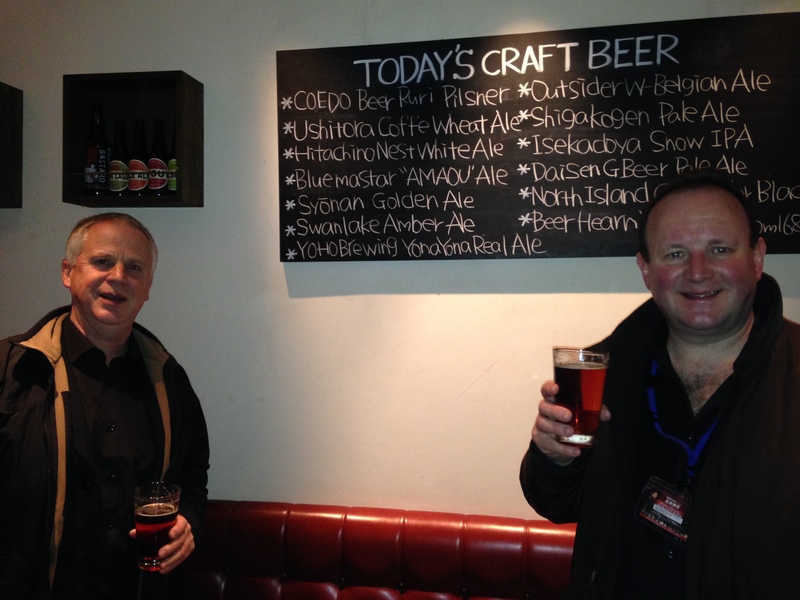 Curiously, we found an English style craft beer bar just by the concert hall. A very good choice too! 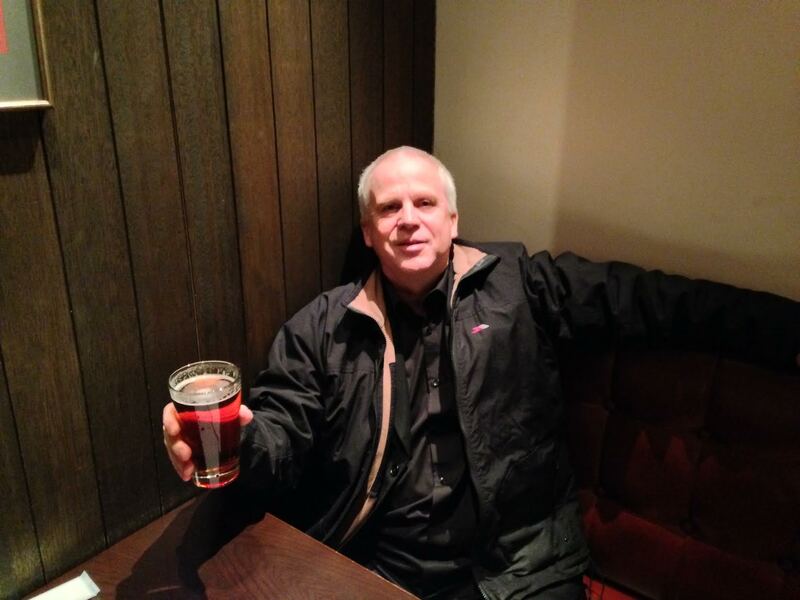 Paul Marsden looks just at home here! 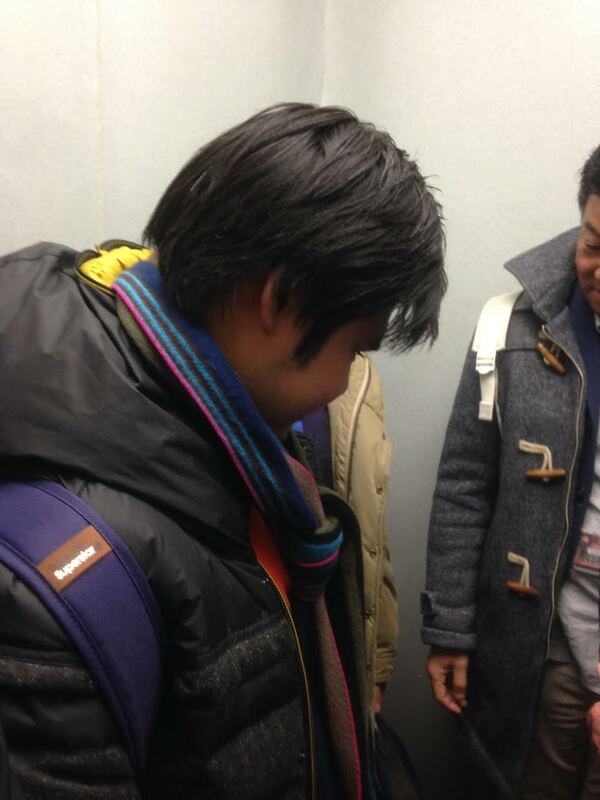 Nobuyuki Tsujii in the lift with me! 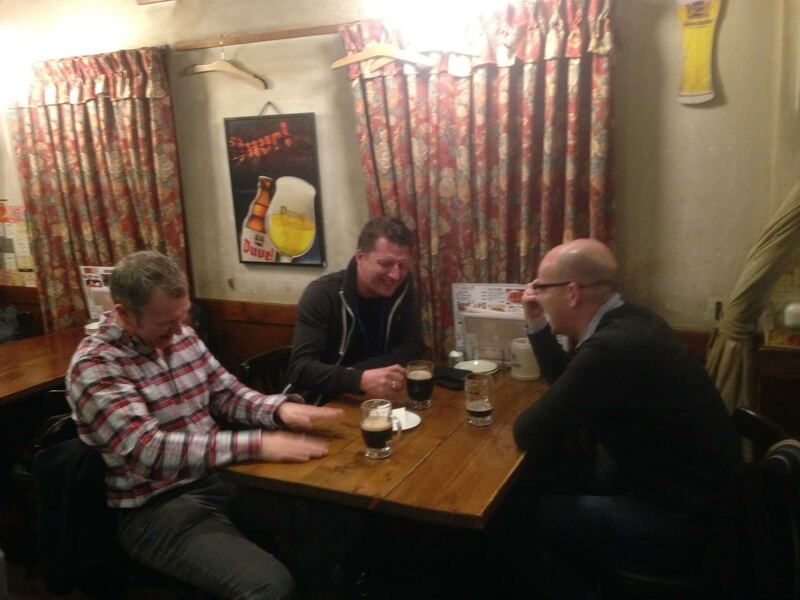 The three Simons who make up the RLPO trombone section – their laughter is infectious! As I write, the tour has reached its end. What a tour! Congrats! 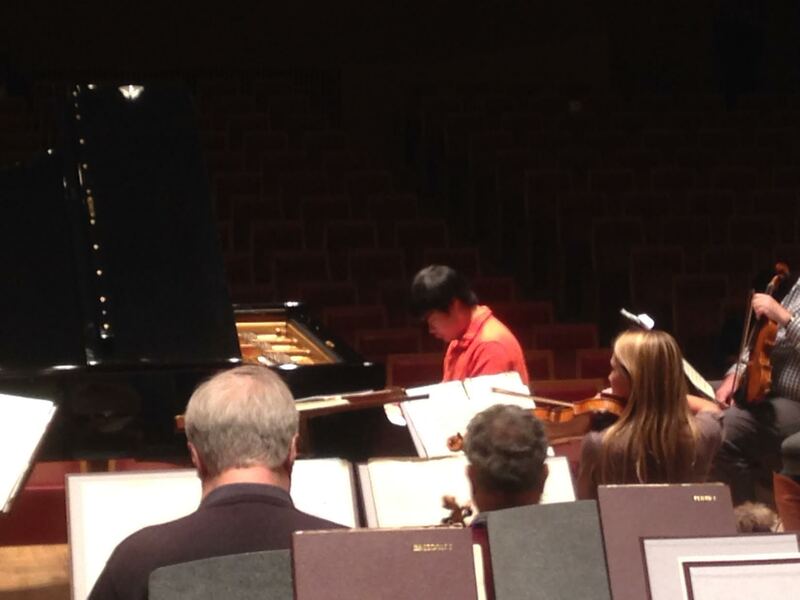 Thanks for the great posts with special mentioning of Nobuyuki Tsujii — it will be tough to go through withdrawal from the exciting tour news! 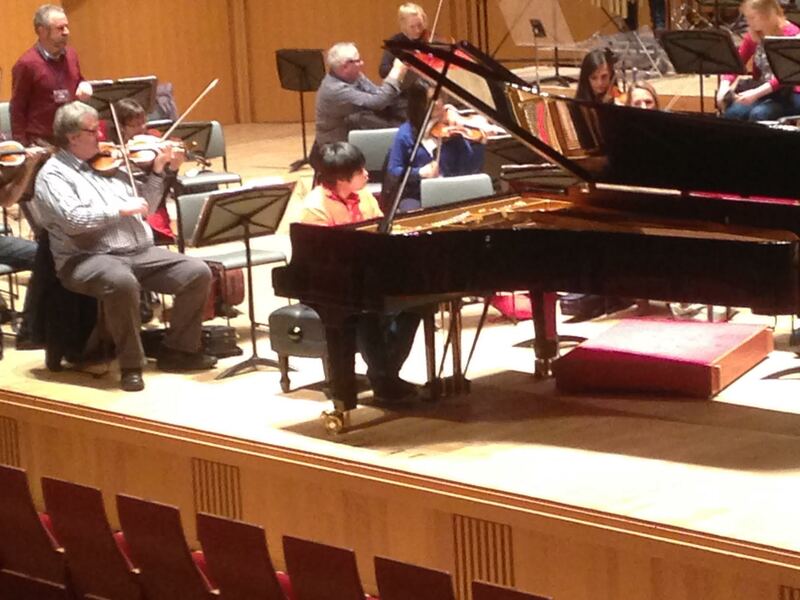 The blogger wrote: “I had, in fact, never heard of the Royal Liverpool Philharmonic (RLPO), and did not expect too much, but now I realize that it is a downright great orchestra”, and (s)he has high praise for the orchestra and Petrenko — but he is disappointed that they got only one encore from the orchestra this night. 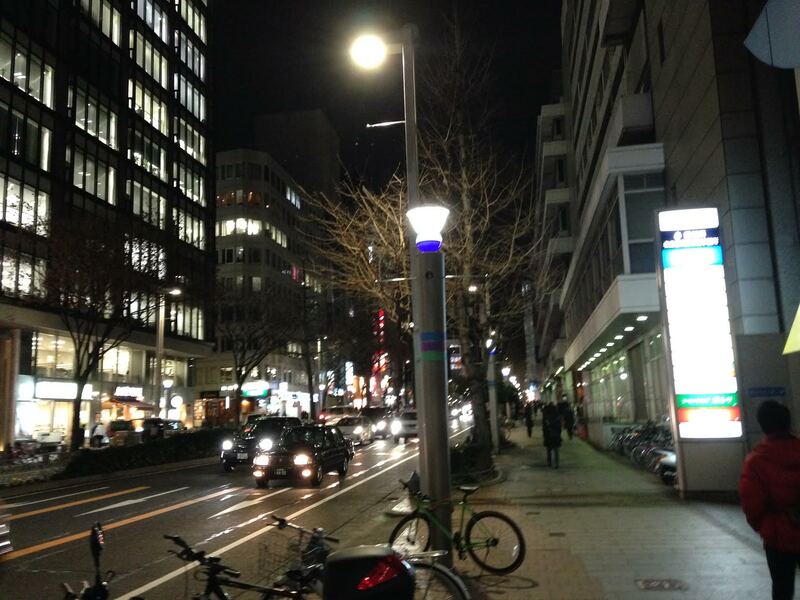 Looking forward to read your postings about the conclusion of the tour in Fukuoka – tweets of which already point to a great success. Hi, Ball-san, thanks for re-tweeting my tweet with the delightful photo of your close encounter with Nobu in a “lift” (elevator to us Yanks) at the Arcos. 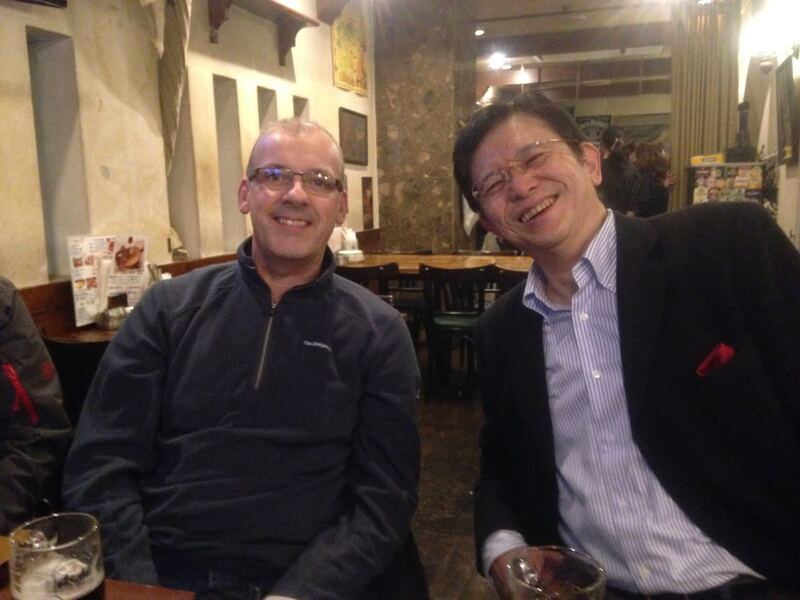 I have had numerous run-ins like that with Nobu and, although I went through the Pimsleur CDs to learn Japanese, never was I able to mutter to him anything more sensible than 素晴らしい (wonderful, amazing) and ありがとう (thank you). Even when I had Japanese friends around, they too were too awe-struck to be of help. Thanks again for the many smiles that your blog posts have brought to my face. 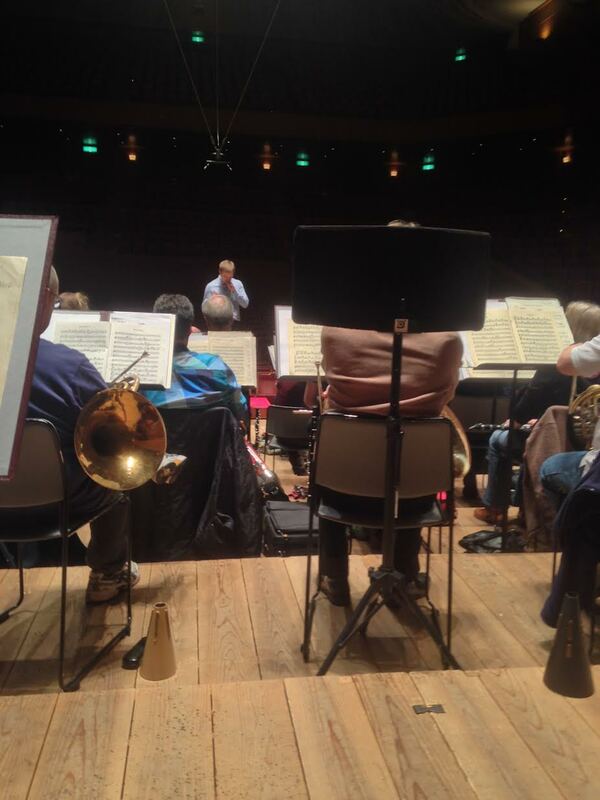 And, bravo, bravo — some bloggers have praised the brass section of the RLPO. Oh, and a big Nobu fan wants to pass along our wish that there will be a CD released of recordings of the RLPO with Nobu — Rach 3 and Prok 3? I will be the first to put in an order.